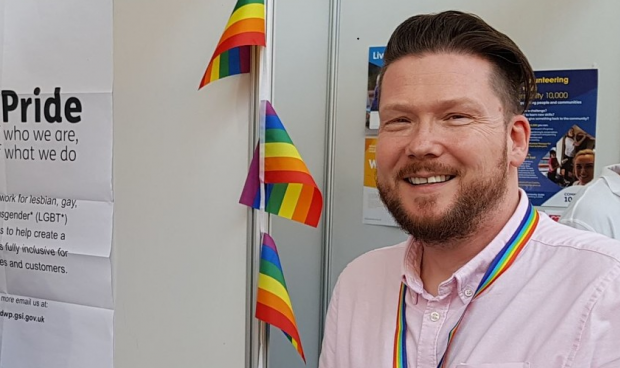 I've found DWP Digital and the wider Civil Service to be a great place to work, where diversity and inclusion are celebrated and supported at the highest level. Yet prejudice against the LGBT community still exists within many UK workplaces. Campaigning groups such as Stonewall, Outrage, and ACT-UP have worked in collaboration with straight allies to make changes happen. Some highlights along the journey include the 1991 formation of ‘Press For Change’ - a key lobbying and legal support organisation for trans people in the UK. And, Stonewall UK was formed in 1998 in response to Section 28 - the legislation that banned the “promotion of homosexuality”.